5. 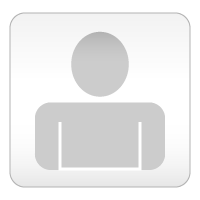 How do I make a torrent? All that happens is that I get the speech from the giver that relates to after receiving the Pokemon. Maybe I'm using FreeSpaceFinder wrong. Been trying out a Moemon hack called Revival Project. I think it was from PokeCommunity - I've had the patch for a long time, and notes are in short supply. Managed to get the Magikarp-tan trainer in place of the girl trainer (links on the same page), but the instructions didn't work properly with the Squirrels rom. I got it working by repointing some of the images. I tried to use this method to change the male trainer (so I could add the Skip Gender Choice patch) but i wouldn't work, even on a 'clean' rom. Never mind, it works as it is. I created a patch with both Revival Project and Magikarp-tan, but I guess I can't upload it for impatient/lazy people like me (I created the patch, but not the images). Been messing around with a few Fire Red hack that will have Normal-type starter choices - three choices, but all Normal. I think the type gets overlooked some times, hence this new hack. It's sticking to the original overworld (controversial, huh? ), but I'm not sure what would happen to the Johto legendary dog that is supposed to appear post-Elite Four. It has something to do with the original starter choice, so I might have to add one-off battle scripts when I know scripting better. As for my existing hacks, Project Gamma and Snow Fuji, I'll make modifications when I have specific ideas. New patch uploaded for my Fire Red hack Project Gamma. Remaking my Fire Red hack Project Gamma from scratch. This version won't have an early Nat Dex. There will be edited Pokemon, but I'm trying to keep at least one of the Types relevant, so that in-game battles don't go weird - i.e. Weepinbell followed by Axew. I'm about to edit more Pokemon, including turning Tauros into something different (including the Type!). I know. The last tutorial I found was either hard to understand, or it's beyond me for now. I also need to read up on scripting and using FreeSpaceFinder. I've been thinking about my Fire Red hack, Project Gamma. I'm probably going to start from scratch, minus the Decap and Attack patch. This is because I'm planning new additions to the game, like a gift Pokemon in Viridian Forest, and I'll need as much space as I can get for the scripts (once I know what I'm doing!). If I could do all that I am planning with the Decap and Attack patch in place, so much the better. If the only reason youre not using my patch is for space reasons then dont worry. Scripts take very little space. Yeah, that's what I was worried about. Thanks for the information. Dominic changed his hacking status from "On a Break" to "On and Off"
Considering starting my Fire Red hack Project Gamma from scratch, without the National Pokedex upgrade script (it felt untidy, plus I only wanted it so I could get Blissey or Miltank earlier than normal!). Some of the Kanto Pokemon will be edited for the pre-Elite Four action, but struggling to decide what to change them to. The idea is that they will remain true to at least one of their types, so that there aren't any weird trainer battles in the game (like a Dragon in Celadon's gym). I'm guessing that the first of the two types would be a safe bet if changing to another Pokemon. Yeah I'm purposefully leaving that in. I've left the trainer with the Lv17 Slowpoke untouched because he's crucial in getting Mew. The Mew glitch will be the 'intended' way of getting Mew in this hack. Been tidying up the overworld after patching to Fire Red a patch that was named Project Zeikuu. Apart from the ground floor, Trainer Tower - which I had never heard of before! - has 3 or 4 pointer errors. I've blocked access on my copy (creating a new patch when all possible messes were tidied up), but not sure about using this for a hack to upload here. ...come to think of it, not sure who to ask if it is okay, anyway! 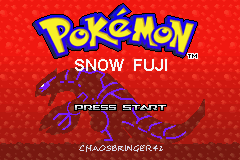 Updated my hacks Project Gamma (Fire Red) and Snow Fuji (Ruby), so I have uploaded new patches. Dominic liked the project "Pokémon Inferno Red". I had been playing Omega Ruby on my 3DS with an idea that I would find my Elite Four-bashing squad via trades on the GTS. This has led to bad choices, so I've restarted the game, and appear to be doing better. Yeah, the DexNav can make you find Pokémon of higher level. Thanks for letting me know. I don't remember that coming up when I first used the DexNav. Been tweaking the overworld of the start town in my Ruby hack, Snow Fuji. Also tidied up another Fire Red hack that I am calling Lamron. This one won't have any extra moves, partly due to my wanting to add scripts (when I know what I am doing! ), but also due to the fact that everyone seems to be doing it. Yes, I include myself in that (Project Gamma, another hack of mine has a patch on this site somewhere).